"Yassmin asks questions. All the time. She questions why we don’t hear more diverse voices in our communities, in our politics and in the media. She leads by example, breaking moulds and smashing stereotypes at every opportunity, all over the place. 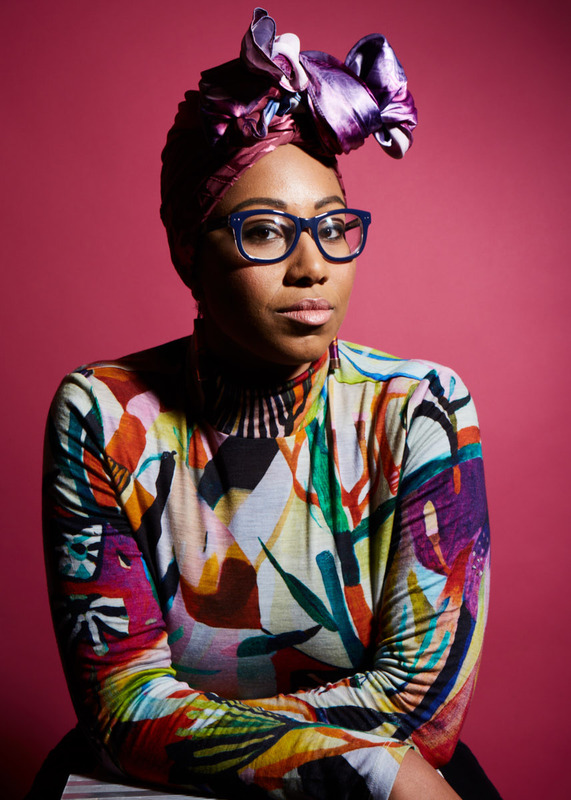 Yassmin has a love of life and people, and effortlessly dives into every new situation. She’s unstoppable." "Abdel-Magied channels the concentration and serenity of someone like Chimamanda Ngozi Adiche with the pinpoint accuracy and control of someone like Malcolm X. Abdel-Magied says what she means, but there is a thinly veiled underlayer to her words. A more revolutionary subtext that listeners can reach for if they so choose." "If you've seen Abdel-Magied on the ABC panel show Q&A – where she built her public profile via regular appearances since 2013 – you can't miss her confidence. She's been knocked around post-Anzac Day, but her basic operating mode is to back herself to the hilt. She is, she says, "a smart mouth in a hijab", someone who's always asked for forgiveness rather than permission." The first time I saw Yassmin present I was hugely impressed. Speaking to an dominantly white, middle aged male audience from the petroleum industry, Yassmin spoke about inclusiveness and diversity and blew them away...I decided we needed to secure her services for an all-staff forum at Geoscience Australia... Yassmin was wonderful speaking to GA! She won over a potentially sceptical audience with personal stories, charm, warmth, humour, and importantly, a gentle provocation that simply gets individuals to consider why we think the way we always have, and do we need to reassess. As Yassmin puts it, being young, female, brown and Muslim, she’s a walking minority and has a good handle on what it takes to feel included. Her talk, and a generous Q and A that followed, generated a buzz of excitement and catalysed many constructive conversations in my organisation. Yassmin added real value to our journey towards a better organisational culture. She makes a difference! · 97.1% rated your presentation/delivery as good or excellent – 87.14% of which was in the excellentcolumn. This was, by far, the highest marks received by any speaker on the day. "What a tremendous person with an important message. Perfectly delivered." I loved your program on unconscious bias at the National Speakers Association. In the 17 years I've attended, yours is one of my favorites. You challenged us to reconsider the assumptions we made. The unique way you illustrated your points are what I will remember. Social thought leader, executive, race car driver, oil rig worker, speaker - you are none of the things anyone would expect. But all of the things that you are make your message one that is unforgettable, undeniable and one that needs to be heard.